AVANCE’s holistic, multi-faceted, two generation programs yield measurable learning outcomes while building community and social capital. 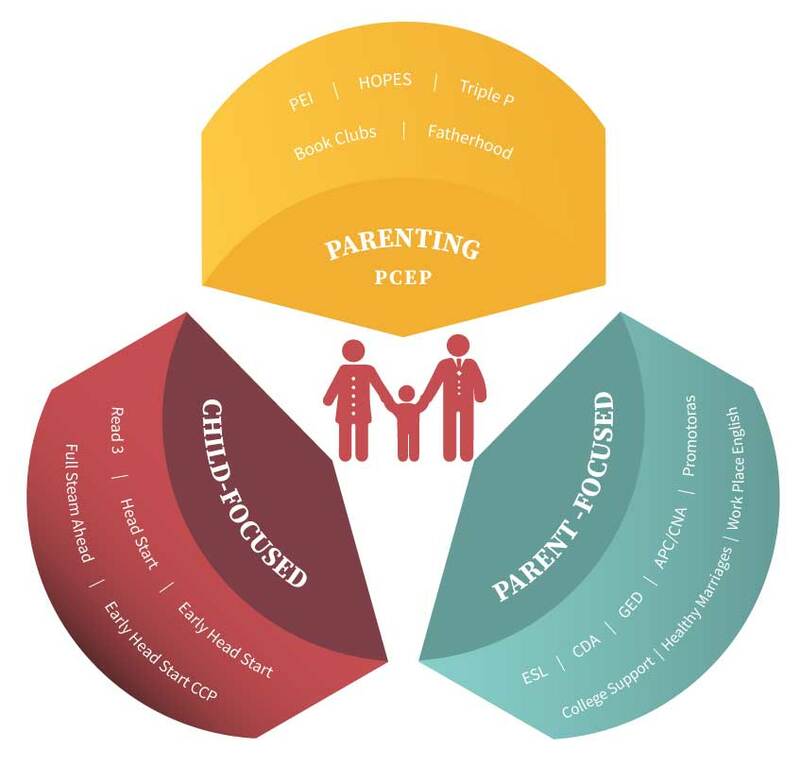 Our hallmark is the Parent-Child Education Program (PCEP), an evidenced-based model of early intervention that focuses on the interdependent welfare of children, families and the community. In addition to the core PCEP, AVANCE offers over 15 different programs including Early Head Start, Head Start, Fatherhood, Healthy Marriage, Adult Education, Leadership and Workforce Programs. This diverse array of programs are grouped in three areas: Parenting, Child-focused and Parent-focused.